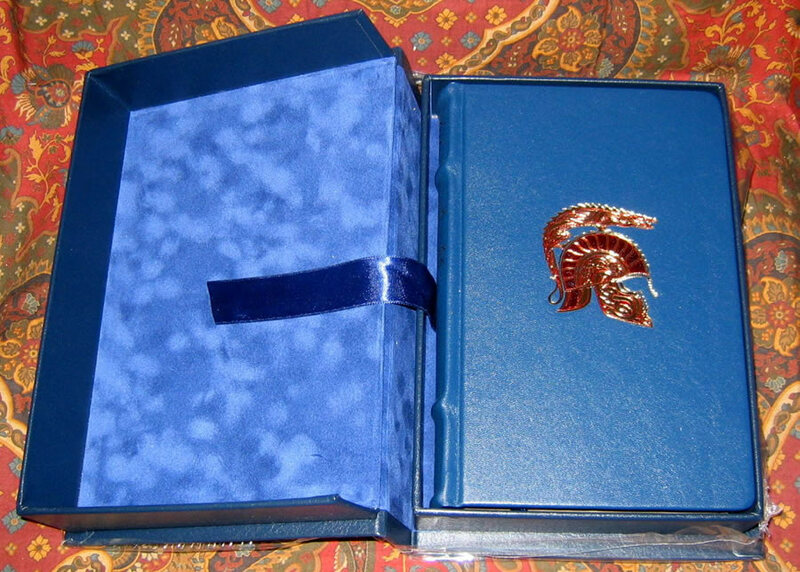 The New Super Deluxe The Children of Hurin by J.R.R. Tolkien, published in 2007 by Harper Collins. This is copy number 350 of 500 per the limitation page. 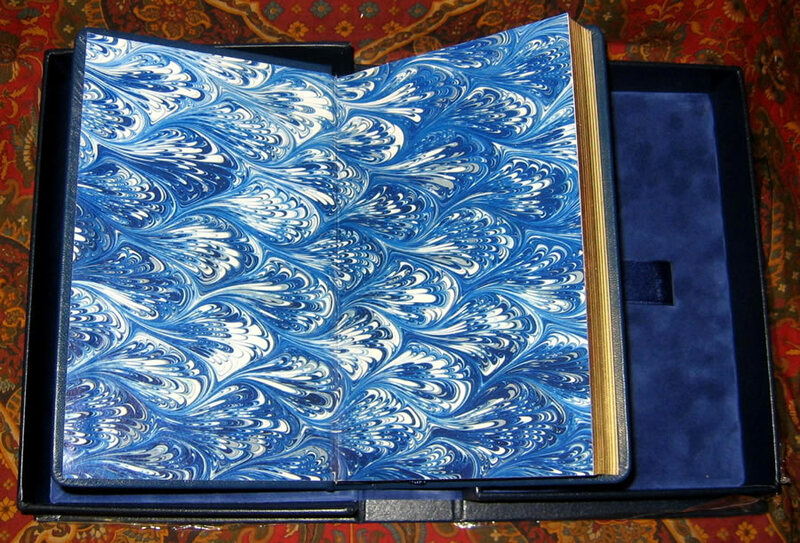 Bound in full Dark Blue Leather, marbled endpapers, gilt stamped design in Red & Gold of Helm of Hador's to the front boards, raised bands with gilt stamped JRRT monogram, title, author and publisher to the spine. Publishers clamshell case, full leather and felt lined, gilt stamped with JRRT monogram to the front, and Helm of Hador to the spine. Still sealed in the publishers shrinkwrap. Signed by the editor and illustrator, Christopher Tolkien and Alan Lee, to Limitation page, featuring Lee's motif of the Helm of Hador. 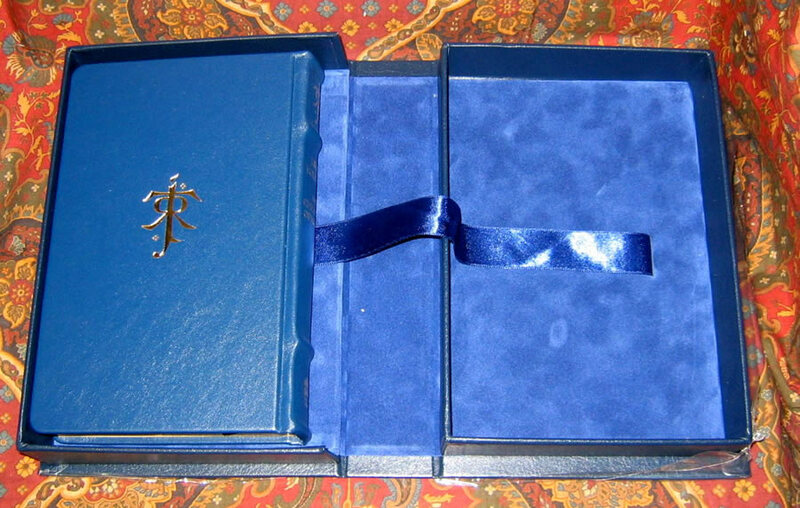 "The Children of Hurin, UK Super Deluxe Edition, the first standalone tale of Middle-earth since 1977, and the first complete version of one of J.R.R. Tolkien's 'Great Tales'. "Drawing together J.R.R. Tolkiens original manuscripts, using many sources spaced out over decades, Christopher Tolkien has constructed a narrative without any editorial invention." "Includes a brand new red and black Map of Beleriand specially drawn by Christopher Tolkien, which appears as a fold-out sheet." "Contains eight colour paintings and twenty-five pencil sketches, specially commissioned from award-winning artist, Alan Lee." 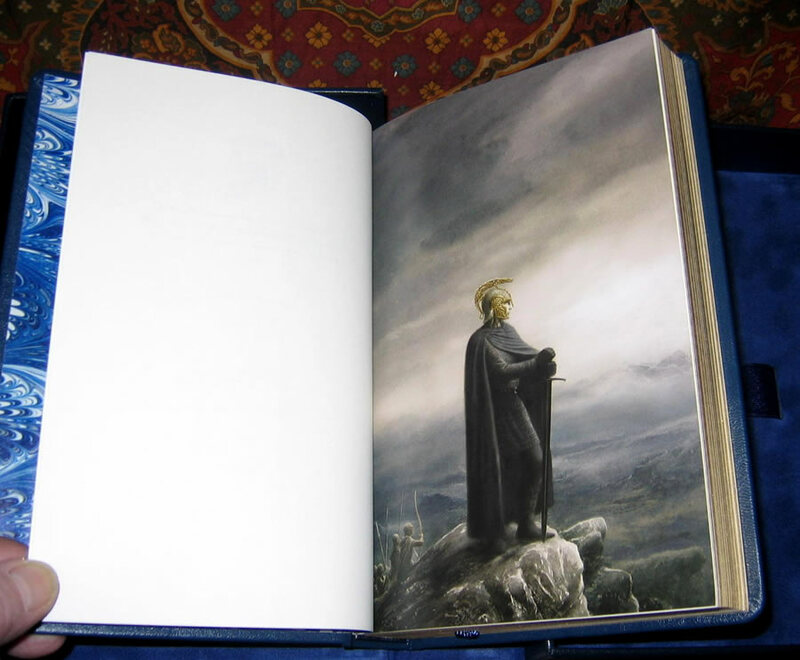 "Features an exclusive colour frontispiece painting by Alan Lee." "Includes a specially written introduction and appendix on the history and writing of the tale by Christopher Tolkien." "Printed on superior quality paper and including a silk ribbon marker." 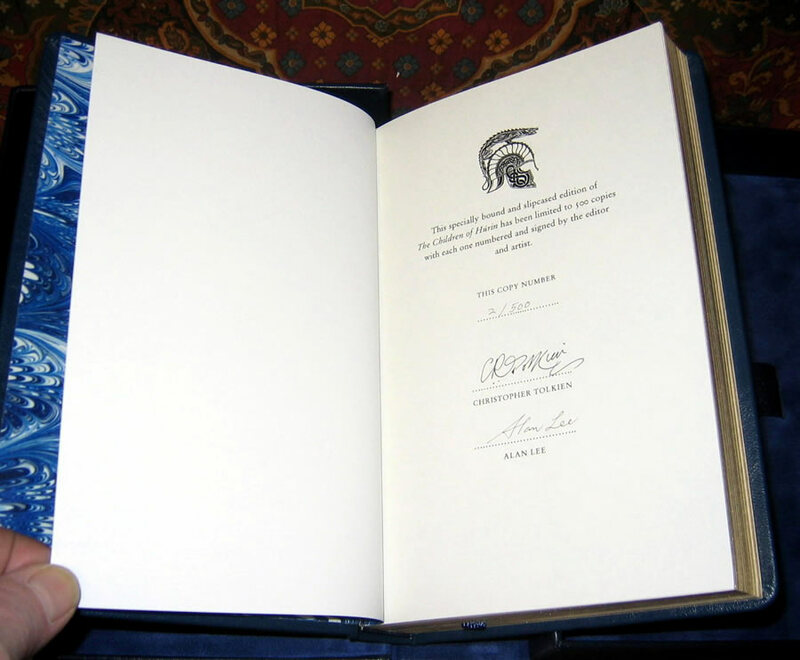 A beautiful edition, with the added significance of the signed limitation page. Don't expect to see many of these for sale, as they were not sold in the US, and most will end up in private collections overseas. Photo's provided are of personal copy, used for taking the photo's only. This particular copy for sale, is still sealed in the orignal publishers shrinkwrap, and housed in the original cardboard mailer as well.